One method of opening the mind and sharing truth involves the use of comedy. In many cases, information an individual would normally reject can be entertained in a jovial setting, expressed as a type of 'joke' laden with a truthful message. Actor Jim Carrey's appearance on the Jimmy Kimmel Show is an example of the comedic technique of truth revealing. I think it harkens back to a time when the wise fool of old saw that the arrogant king needed counsel, but the king thought himself too wise to receive advice from a fool. As such, the fool decides to puts on a display or performance, sharing the same ideational advice or content in an allegorical form. This is much like what Shakespeare depicted in Hamlet act III, when actors perform an allegedly fictional story of a king being killed in a plot by his brother, only to discover that it was actually a historical account of the assassination of the previous king. In this way, Carrey is able to communicate a central message without triggering the rejection of truth reaction in the audience. In my own experience, sharing information with light-hearted abandon can be extremely effective in ensuring it is received, but at that point it is up to the individual to contemplate. 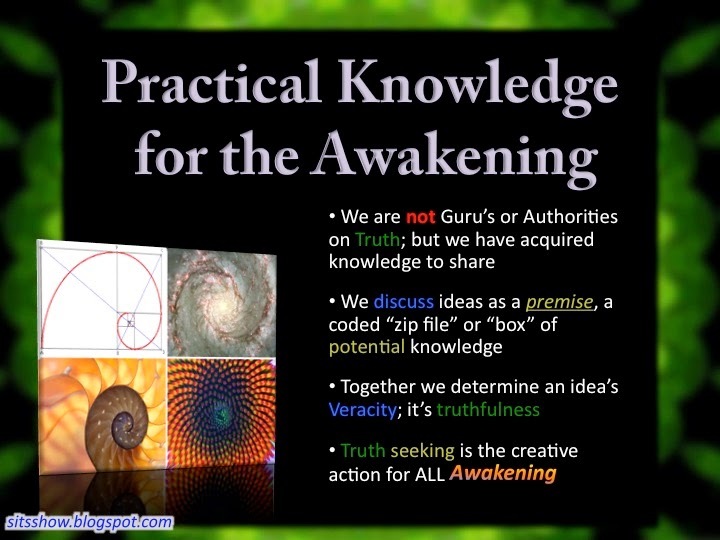 We can offer the truth, but only the individual can accept it and allow it to empower them. Even if what is offered is rejected, it was still received, and in time it can be re-explored as experience itself opens the mind. For more on the Illuminati, see the below-linked articles. 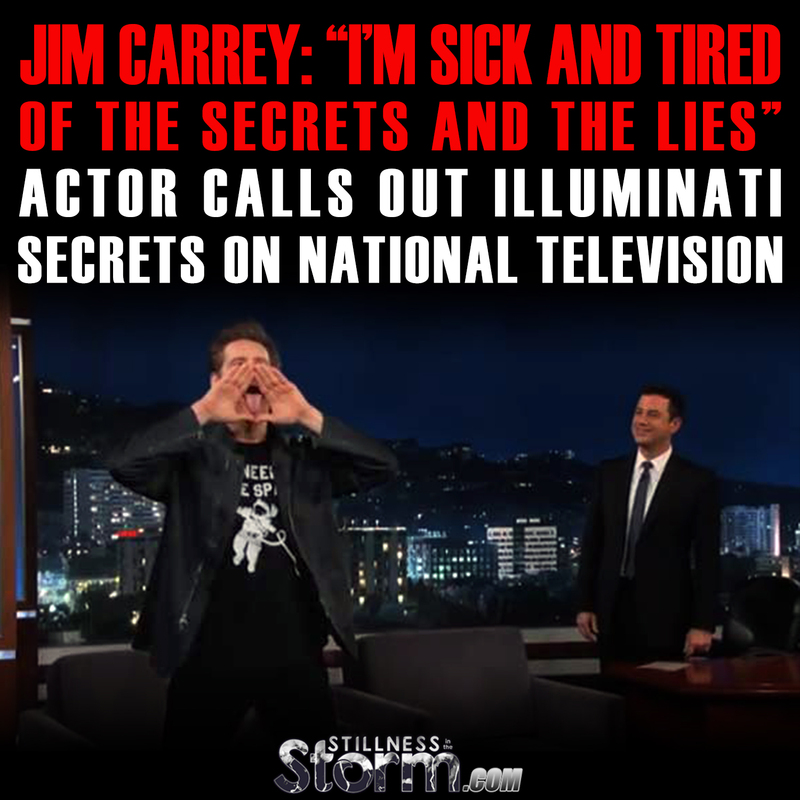 Related The Illuminati Hand Sign of the Pyramid | Why the Cabal Needs Us To Believe These Symbols Are "Bad"
Jim Carrey is a well-known jokester. By now, kooky public antics have come to be expected from the 52 year old Canadian-born actor. 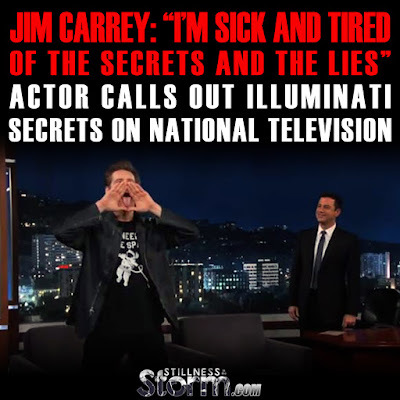 However, in his latest public appearance (seen November 14th on the Jimmy Kimmel show) Carrey decided to let the viewers in on some big secrets – the inner-Hollywood workings of the Illuminati. In a grand entrance, Carrey comes forward on Kimmel’s stage making an obvious and in-your-face hand gesture, as seen in the image above. The crowd screamed and applauded with jubilance, and it was unclear whether they were screaming because they understood the symbol he was making, or whether they were simply excited to see the actor after a short stint away from Hollywood in recent years. In the video (seen below), Carrey spends an extended period of time making the triangle hand symbol while protruding his tongue from the center, while a curious but humoured Kimmel watches from behind at his desk. “So you don’t know what it is, Jimmy Fallon doesn’t know, David Letterman doesn’t know what it is, all the comics in show business don’t know what this is?” he asks while making the triangle hand gesture once again. For those who aren’t sure what Carrey is referencing, the triangle with a symbol in the middle (typically an eye) represents the Illuminati, a hidden governing force which has ties to all of today’s biggest industries, including financial, entertainment, military, and religious. 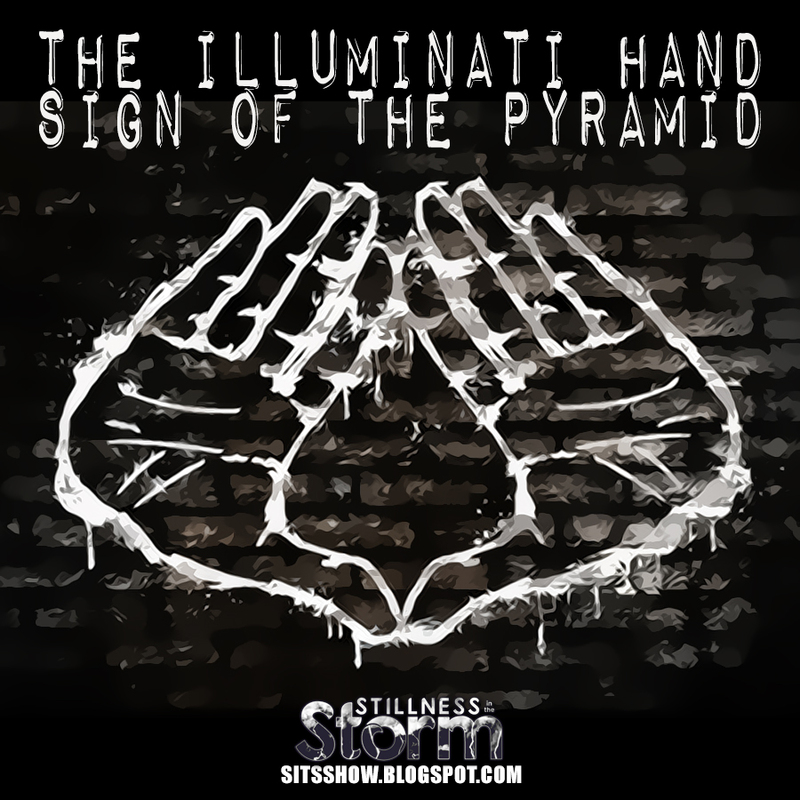 Illuminati references have become ubiquitous throughout Hollywood, as seen in a number of films, television shows, music videos, and even live performances. “Come on Jimmy, I’m here to blow the whistle off of this whole thing. I’m sick and tired of the secrets and the lies, it’s the secret symbol of the Illumi-nutty, and you’re a part of it. It’s the all mocking tongue,” Carrey boasts to a laughing audience. Next he reveals that the Illuminati is trying to turn the masses into “consumer drones,” after which he receives a fake phone call which he answers. We watch as his face immediately turns serious, and a curious Kimmel asks who it is. Carrey is now zombie-like, and turns to Jimmy explaining, “I’m sorry, Jimmy, I-was temporarily interrupted by my iPhone 6+, with HD display.” The audience erupts in laughter and cheers. The segment ends with an original plug for his new film, Dumb and Dumber To, leaving the audience thoroughly entertained. Was There Truth Behind Carrey’s Extended ‘Joke’? Although there was an apparent undertone of humour to Carrey’s stunt, many of the things he mentioned are in fact based in truth. The term ‘Illuminati’ comes with connotations of conspiracy, however, the term simply refers to the high-level bankers who own a large majority of our world – the Rothschilds and Rockefellers, to name a few. Bohemian Grove; every year a group of men involved with high levels of politics and finance meet in secrecy in a remote area of California. Jim Carrey references this in his appearance on Jimmy Kimmel. Beyonce giving the same triangle hand symbol Jim Carrey was poking fun at. Jay Z, Kanye West, and Rihanna making the same triangle hand gesture. The triangle and all seeing eye as seen on the American dollar bill. Like mentioned before, these families have ties to practically every industry that exists today, including Hollywood. The origins of these families are also connected to esoteric occult organizations, such as Freemasonry. 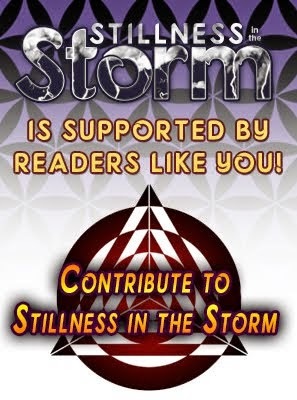 This is where occult symbolism, such as the triangle and all seeing eye, comes into fruition. The theory states that many Hollywood hopefuls display these symbols, which are hidden in plain sight, in order to show their allegiance to the ‘global elite’ and to better themselves within the industry. What do you think of Jim Carrey’s stunt? Do you think there was any underlying truth to what he was saying? Or was it just a clever plug for his new film? Share with us below!